Taxessor allows the user to estimate their property's possible taxable value for Bernalillo County commercial properties. The underlying data was compiled from resolved cases from the 2010 tax year for apartments, hotels and commercial buildings. It does not include data for single family homes, land or lot values. The calculated value is only to assist the user in determining a possible property tax value and should not be used to set a list price, market value or as a replacement for an appraisal. 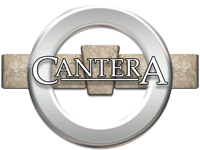 The information is from sources deemed reliable, but is not guaranteed by Cantera Consultants & Advisors Inc. or the creators of this program. The calculated value should only be used to provide a comparison of the property's potential value vs. its current assessed value. NOTE: This application is only useful for commercial property professionals working in Bernalillo County, New Mexico, USA. Version 2.1 fixed the UPC lookup problem and should be the current app version. The state released a new website while our app was waiting approval at the Apple Store. As a result, the UPC lookup feature is currently broken. We'll be working to get that fixed ASAP. For now you can enjoy the iPad layout, and improved results page with V2.0. Version 2 has been submitted to the Apple Store for review. Version 2 provides iPad support, the ability to email results, UPC lookup at the Bernalillo property website for comparison, and a more concise results layout. The iPad version of Taxessor is in pre-release. Look for it soon! (See iPad Preview for screen shots).